The Kydd books have been translated into a number of languages around the world. This month the Japanese edition of TREACHERY is published and Yoko Ohmori, translator of the Kydd books into Japanese, shares some of her thoughts. As well as TREACHERY, Yoko has translated the first eight titles and Kathy and I had the pleasure of meeting her a couple of years back when she came to the UK. A keen traveller, Yoko came to England as she wanted to visit places familiar to Kydd, such as Guildford, Portsmouth and Plymouth. Yoko was born in Hakodate, a port town in northern Japan. Her grand-father was a dealer in marine products and her father worked for a sea food company. She says she has loved the sea and ships from early childhood. After graduating in English literature at Yokohama University Yoko joined a publishing company and also studied translation. 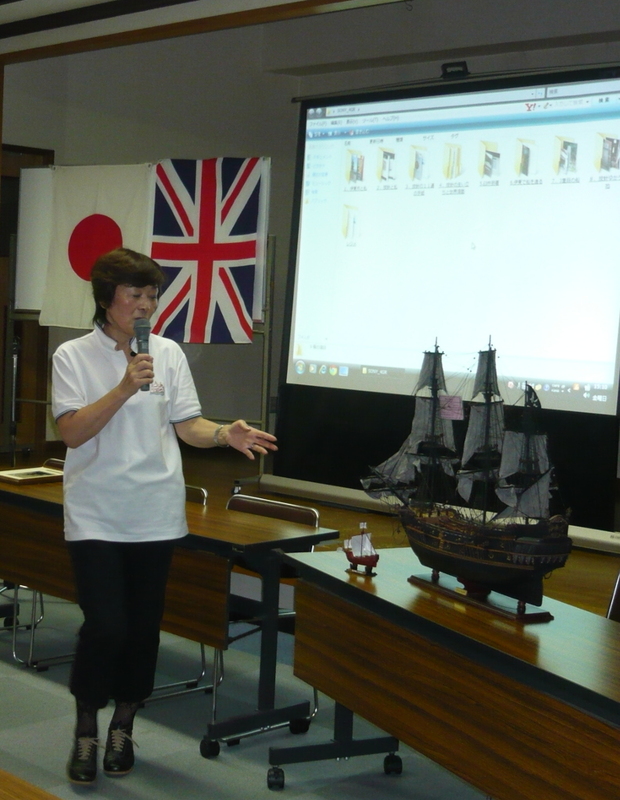 She met the translator of Forester’s books and as soon as she read Mr Midshipman Hornblower she was hooked on fiction of the great age of sail! After that, Yoko read whatever books she could find in the genre – then went to sea herself on a number of occasions – in a square rigger across the Pacific in a voyage lasting three and a half months; around the islands of Guam and Saipan; and the Arctic Ocean. 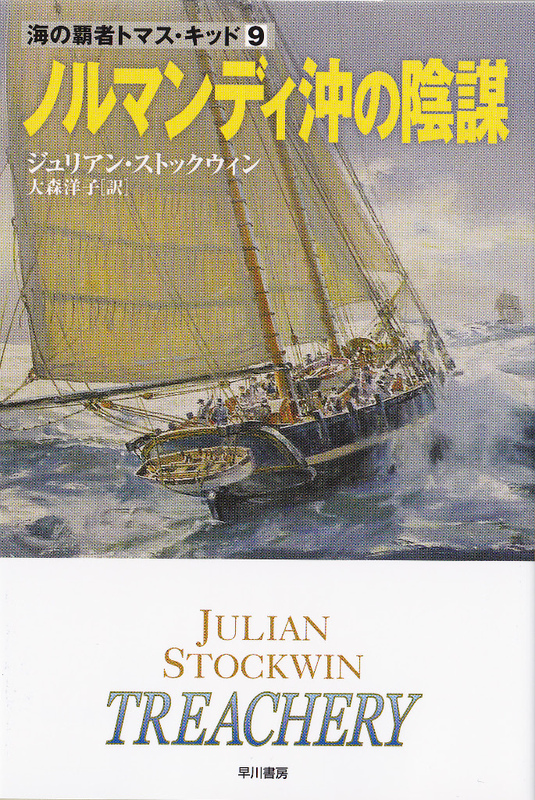 She says that of Julian’s books she has translated so far her favourite is ARTEMIS because she enjoyed the voyage around the world and the challenges of the sea. ‘At first I read through the whole book without consulting any dictionary or taking notes. This is to catch the main stream of the story and the author’s thrust. Then I begin to translate page by page. In this stage I use dictionaries if required. While I am translating I make notes about all the characters, ships, places etc. I also check my notebooks of other volumes to find the tone of the conversations of each character. I am very careful to translate the speech patterns consistently. Then there are the new characters. Japanese has many words for “I” and “you” – I must choose which ‘I’ to use for each character. At the same time I look over books and reference material written in English or Japanese about the ships, places, histories, real characters, drink, food, clothes, and so on that appear in the particular volume I am translating. It takes about 4 or 5 months to translate whole a book, and then I check and polish the manuscript and send it to my editor. After that I check the galley proof twice and answer and questions my editor may have. ‘We Japanese love the moon. We have names for each phase of moon so in the Kydd books I have to be aware of the precise phase of the moon when it is mentioned. left half moon: kagen-no-tuki (bow-moon) jyogen means upper, kagen means lower. Chushu-no-meigetu is what you call the harvest moon. The Kydd series is published in Japan by Hayakawa and is available in paperback and ebook formats. ← Team Stockwin on Air Tomorrow! Well Mr. Stockwin I have followed Thomas from the Press Gang to homeward bound from the Carribee. What now pray tell?